The classes are for anyone and everyone who enjoys music and singing. 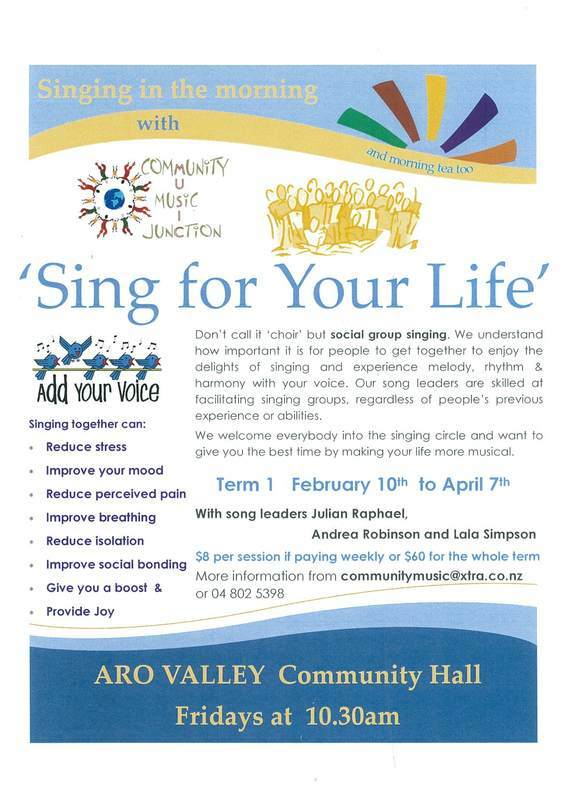 The aim of sing for your life is to promote enjoyment, good feeling and well being through group singing. The music ranges from popular to folk songs from around the world. Come along and join in. $8.00 per session or $60 for the whole term (10 sessions).